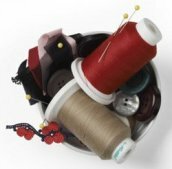 The Fort Collins Bobbinwinders Club has organized a sew day benefiting the hospice organizations throughout Northern Colorado. We're focusing on simple quilt projects and we'd love you to join us! Anything you want to do to help is wonderful: you can come and sew, iron, cut fabric or if you just have fabric or quilt tops to donate we would love that too. If you want to come and sew with us, please bring your sewing machine and notions. You can come for a few hours or the day, and you can pack a lunch or just snacks (there are restaurants nearby).